WoW dailies are the best way to earn reputation, purchase some must-have items and enchantments, and have a stable way of earning WoW gold. However, sometimes it can be difficult knowing which daily quests to do or which part of Northrend to focus your efforts in. A WoW dailies guide like Dugi’s Dailies and Events Guide can really help you out in this respect. Just start your daily quest effort by asking yourself what will help your character the most right now: gold or reputation? The beautiful thing about some of the WoW dailies is the fact that they earn both reputation and large stacks of gold. Some of the highest paying WoW dailies are located in the Storm Peaks, and they earn you about 13 gold per quest, plus 250 reputation points with the Sons of Hodir. Most classes will need to be exalted with the Sons of Hodir for a variety of reasons. This faction offers shoulder enchants for most classes, in addition to exclusive recipes for some gems and an exclusive tailoring recipe for the glacial bag. The Sons of Hodir daily quests should be among the first ones you do. In fact, you may even be able to begin doing some of them before you reach level 85, as long as you complete the prerequisite quests so you can become friendly with the Sons of Hodir. You won’t be eligible for the WoW dailies for the Sons of Hodir if you are not friendly with them. Also remember that you can keep doing these daily quests for gold even after you reach exalted status with the faction. That 13 gold per quest is among the highest gold dailies in the game. 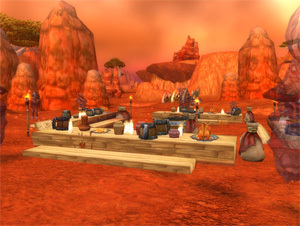 In some cases, you may want to complete some WoW dailies just to earn reputation with a faction. The best way to go about this is to check a reliable WoW dailies guide like Dugi’s Dailies and Events Guide. This will show you where you need to go to earn the reputation you need. Perhaps you’re seeking an achievement for reputation or there is something very specific you need from a smaller faction in the game. These scenarios are no problem at all when you have a WoW dailies guide to help you out. If you’re all about earning WoW gold and could care less about reputation, then you can complete any of the WoW dailies you want. However, you may want to focus on the ones that earn you the most gold. The highest paying gold dailies pay out 22 gold per quest, but these quests do require that you have a group of five people. The next step down is 20 gold per quest, and most of these are solo dailies that are available in the Sholazar Basin area. The next step down is 13 gold per quest, and these are available in Sholazar Basin, the Storm Peaks, and the Icecrown Skybreaker.